EARTH’S MATERIALS ARE HISTORIANS… Sediments tell the history the present. Bedrock tells the history of the past. Session 3 – April 9, 2018 – UofU Osher – Earth Science Outside. DRAFT for some details but logistics are solid. Meet at the parking lot for the bicycle path. Address: 2700 So. Wasatch Blvd. SLC 84108. Also known as a Grandeur Peak Trail Head. NOTE: Thinking ahead of where you want to be may help you arrive there! 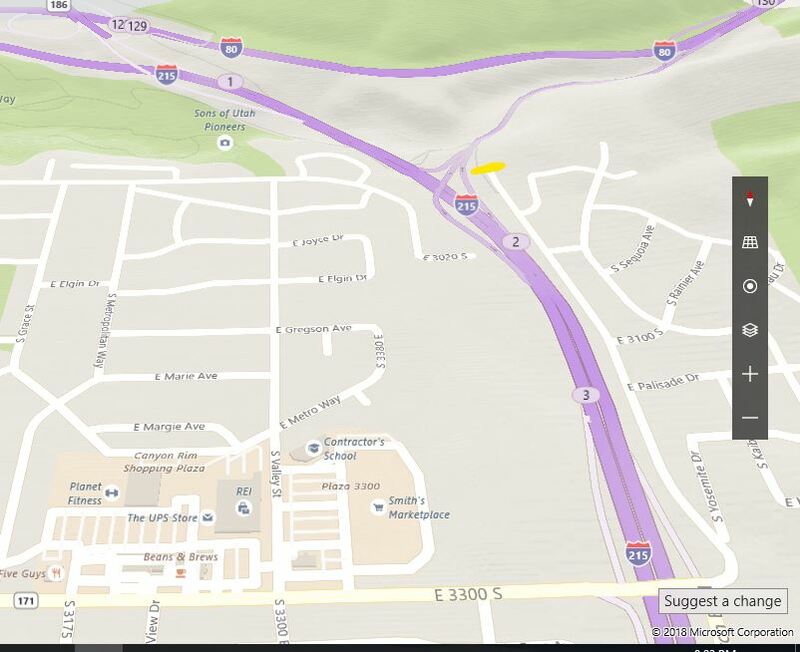 (a) south side of Parley’s Canyon, (b) east side of I-215, and (c) the end of the road (Wasatch Boulevard). NOTE: For Part 1, we’ll sit at a picnic table and extra lawn chairs will be provided. NOTE: For Part 2, We’ll walk down the bicycle path about 200 feet (?) (please, someone with an altimeter, measure it). SAFETY FIRST. Some bicyclists careen by. 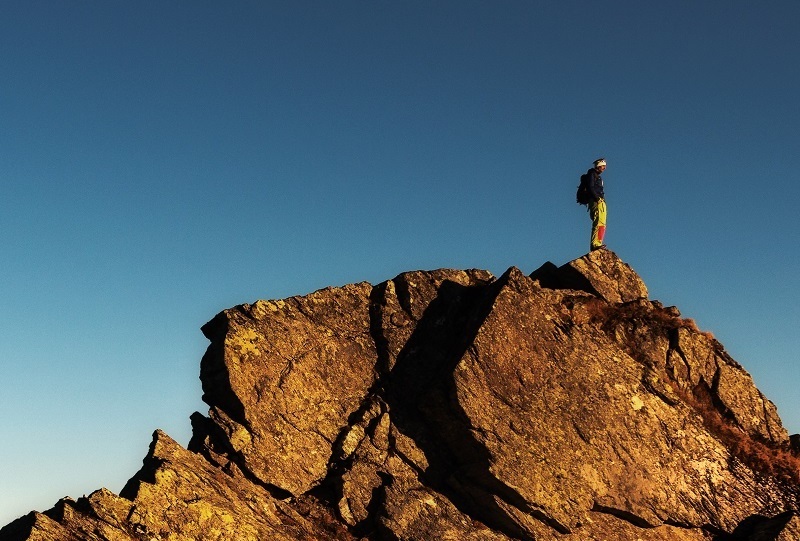 Stay on the mountain side of the path. NOTE: For Part 3, We’ll set up lawn chairs. If you have a favorite, light, lawn chair it’s fine to bring it. The mapping exercise takes about a half hour. Participants will use colored pencils (provided) and handout and be citizen scientists, mapping the bedrock units (based on patterns) and putting the units in order using the “rules” of younger than / older than. NOTE: Safety first. ALL outdoor exercises have inherent safety concerns. Be prepared with sensible shoes, walking stick if desired, clothing appropriate for weather, etc. The path is relatively steep. We’ll take our time. SAFETY is a group endeavor. Speak up for safety! There’s never been an issue at this site, let’s keep it that way. Map showing location of parking lot where we meet (2700 So Wasatch Boulevard). Exit 33rd south, cross east toward Eastwood Elementary School. Turn north on Wasatch Boulevard and drive to the end of the street. No alternate site will be posted until we know for sure bad weather. Weather looks great! But check back the Saturday before class. Step one (Session 1): look around. Be mindful of patterns. Breathe deeply. Step three (Sessions one and two AND 3, today! 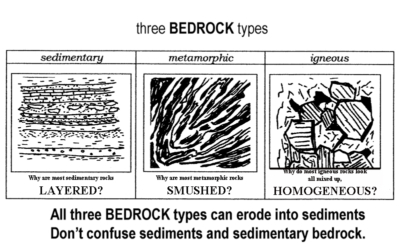 ): Look deliberately at patterns of materials, specifically sediment versus bedrock. Step four (Session 3, today! ): Focus on patterns in bedrock. Be mindful of layering and patterns such as tilting or folding. Be mindful of crosscutting relationships, what cuts what, for example, does a stream channel cut the bedrock? Think about what you see (Session 3, today). 1:45 PM — Earth materials – We’ll meet right at the bicycle parking area, table, north end. 2 PM — Walk a ways down the bicycle path. Observe patterns within patterns. Participants as Earth scientists. “Map” the rock units of the vista ahead of you. And put them in order. NOTE: Colored pencils and handout provided. Enjoy being a citizen scientist. Participants should take their time and relish Step 1 of Landscape Literacy: PATTERNS. Mindful moments. What about a dune? How did it get there? What is it made of? How big are its individual pieces of sediments? When you find a dune, what does it tell you about Earth processes. Earth’s climate near the dune? 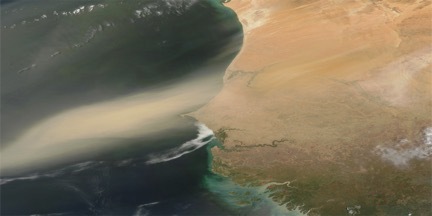 Here is an image from NASA’s picture of the day — what environments are there? and what sediments are being deposited? The muds of coastal floodplains become shale. Content: Sedimentary bedrock tells the story of the past. 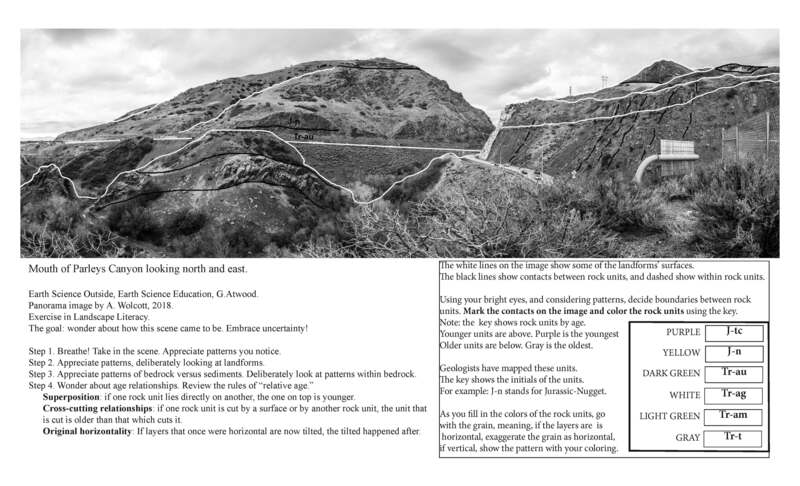 Step 3 of landscape literacy is to appreciate patterns of bedrock and their layering. And then to think about it. Here at Parleys Canyon we see abundant red shales, and some have wave ripple marks. We find fossilized sand dunes. We find evidence of stream beds of the past. We can leap to the conclusion that Utah, back then, looked like the northern Sahara along the Mediterranean Sea does today! Examine the patterns of rock units. Apply the rules of superposition, cross-cutting relationships, and tilting of rock units to figure out which units are the oldest and the youngest. These rock units have been mapped by geologists as well as by you. This map shows the rock units at Earth’s surface. The following cross-section shows a slice looking sideways, of the rock units of the map, much as we saw at Parleys Canyon. 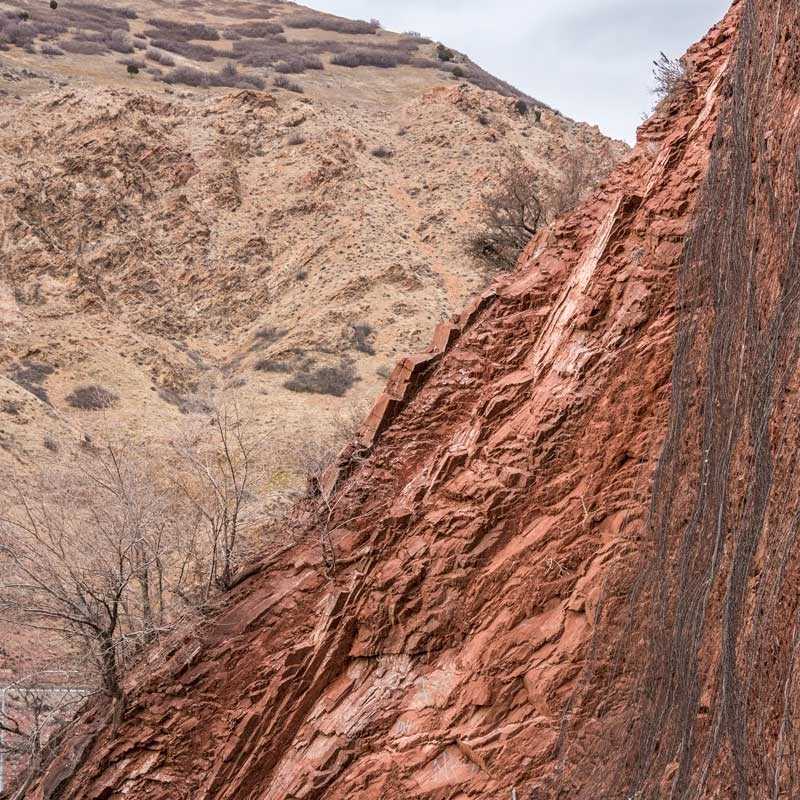 What evidence was there that the sediments in Salt Lake Valley, and in the canyons today are the youngest, even younger than the youngest bedrock? What evidence was there that the rock unit colored purple on your map and called J-tc was younger than the unit called J-n. (Note: M.D. Crittenden used diverse shades of green because that’s how geologists color rocks of this age). 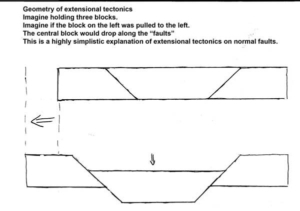 What evidence was there that the tilting of the rock units happened long before the Wasatch Range was exposed? Participants should not yet be confident in their skills to read patterns of rock units or how to put the rock units in order. However, participants should recognize how geologists figure out series of rock units such as at the mouth of Parley’s Canyon. Participants should realize that Utah in the past did not look like Utah today. Sediments of today record the environments of today. 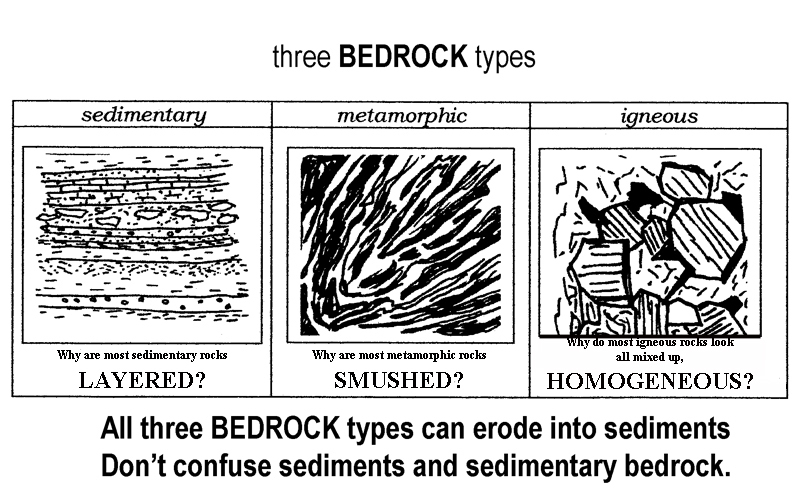 Sedimentary bedrock once was sediments of the past and records the environments back then. The mudstones of Parleys Canyon today were mud on shores of a sea perhaps similar to today’s Mediterranean Sea. The sandstones of Parleys Canyon today were sand of sanddunes as impressive as those of the Sahara Desert today. 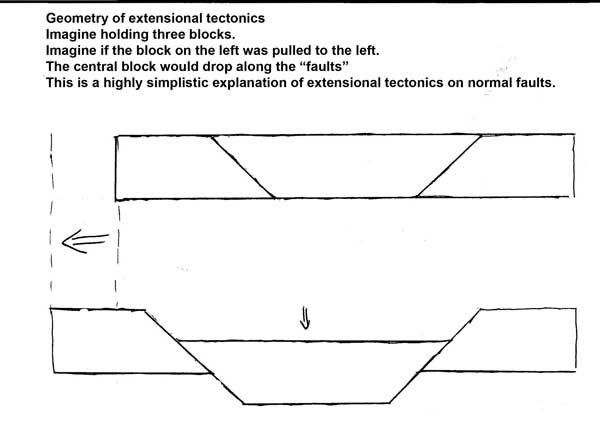 To figure out the history of how Parleys Canyon came to be… don’t forget Tectonics Rules! 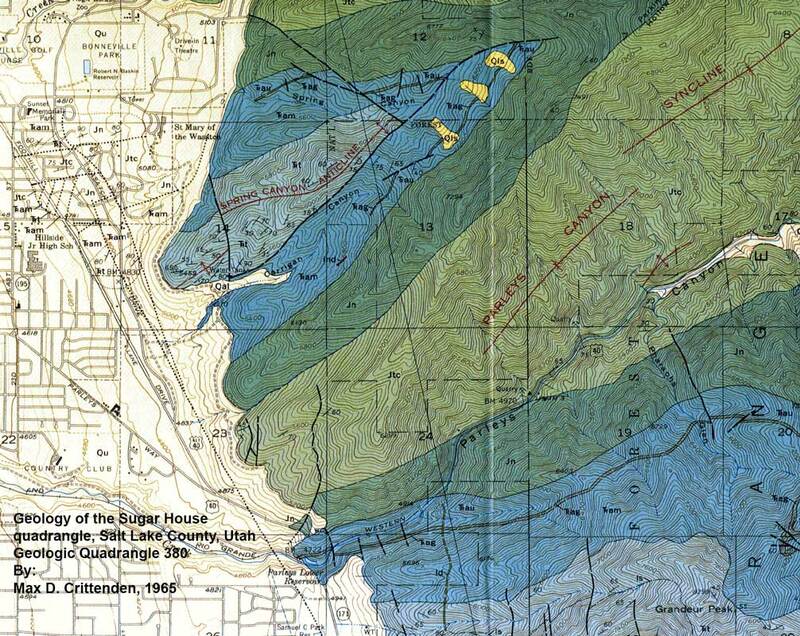 Geologic History of what is now the mouth of Parleys Canyon. Consider this DRAFT as I blasted it out this evening (April 8, 2018). Chapter 1: Metamorphic basement. Rocks from this chapter underlie the region, but neither the rocks nor the landforms that we see at Parleys Canyon were present during Utah’s Chapter 1. 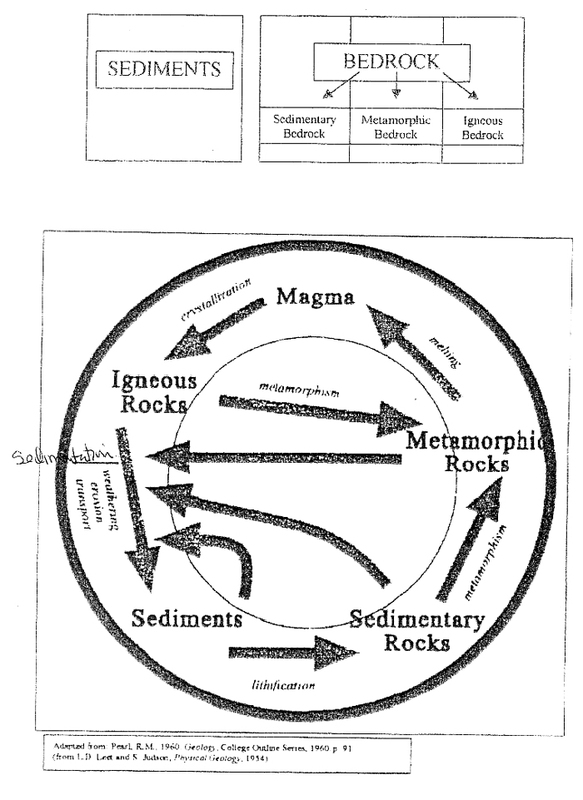 Chapter 2: Metamorphism Lite. This chapter affected the region that would become Parleys Canyon, but neither the rocks nor the landforms of Parleys Canyon were present during Utah’s Chapter 2. Chapter 3: Seas come in and seas go out. This chapter laid down rocks that record a marine (ocean) environment, near sea level, and near the equator. That’s where what-would-become Utah was at the time of trilobites. Neither the rocks nor the landforms that we see today at Parleys Canyon were present then. Chapter 4: Broad basins. This chapter laid down uneven thicknesses of rocks that record broad basins perhaps like today’s Gulf of Mexico’s thick sections of sediments. Neither the rocks nor the landforms we see today at Parleys Canyon were present then. Chapter 6: Scrunch from the west and swamps in the east. The tilting of the rock units at today’s Parleys Canyon is evidence that Tectonics Rules! The rocks that we see at Parleys Canyon today were buried miles below Earth’s surface as compressional tectonics resulted in mountains as impressive as the Andes or Himalayas across what is now western Utah. Thus the rocks and their tilting were present during Utah’s Chapter 6, Scrunch and Swamps, but the landforms we see today were not present. The region looked so different. Chapter 7: Seven up! During this chapter of Utah’s past, the region of western North America rose almost a mile. The terrain may have looked like the Tibetan Plateau looks today. 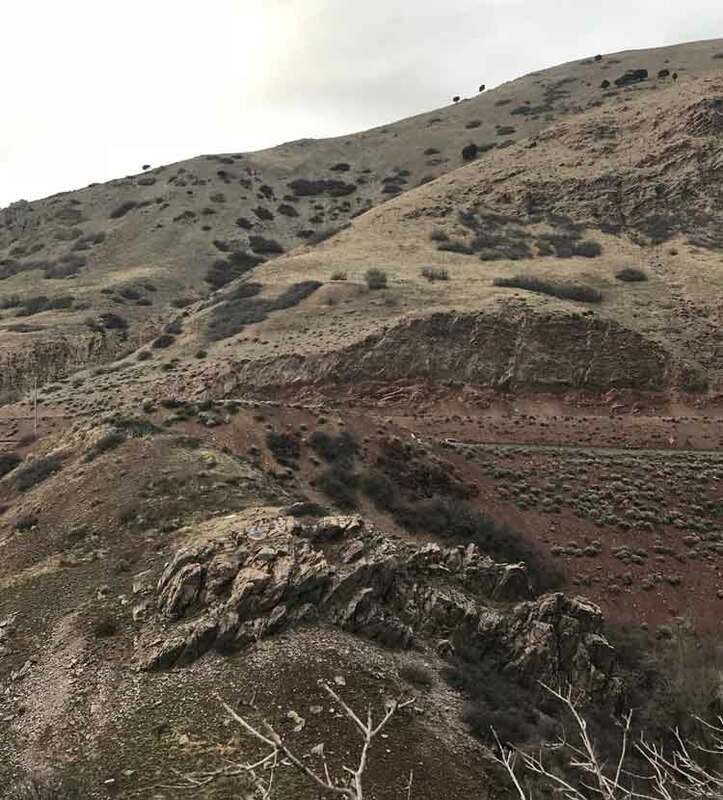 The rocks of Parleys Canyon were present at depth, but the landforms of Parleys Canyon and the mountains we know so well today, were not present yet. Chapter 8: Impressive Igneous. The evidence of this chapter is not that far from Parleys Canyon, for example at Park City and at Big and Little Cottonwood Canyons where tectonics had melted bedrock that became mineral rich bodies. But these intrusive igneous rocks are not present at Parleys Canyon although ashes and volcanic debris probably buried the terrain and covered the rocks that would eventually be exposed at Parleys Canyon. However, the features we see at Parleys Canon were not present then. Chapter 9: Now stretching to the west. This is the chapter when erosion finally exposes the rocks of Chapter 5: Deserts and Dinosaurs that form Parleys Canyon. Tectonics Rules! 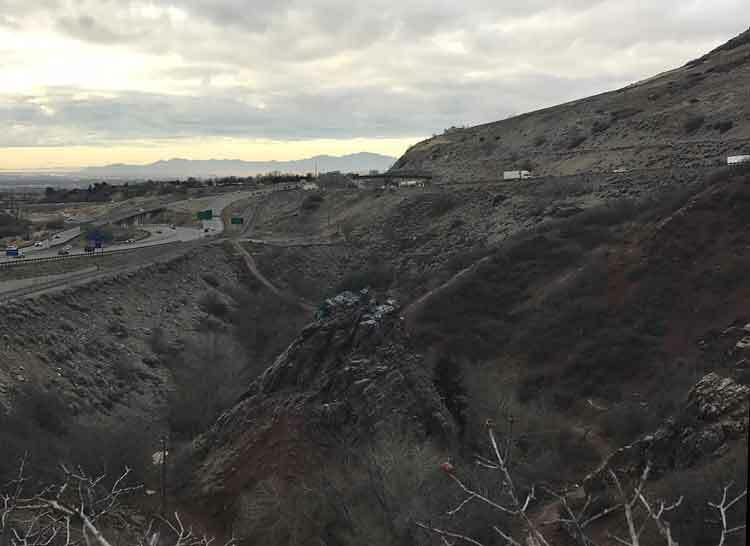 The downdropping of Salt Lake Valley along the Wasatch Fault exposes the Wasatch Front to erosion. Erosion exposes the rocks. Erosion has created the landforms we see today at the mouth of Parleys Canyon. The sediments of the region and even here at Parleys Canyon tell, for example, the contrasts of today’s climate with Parleys stream laying down sands and gravels in the creek bed below where we sat versus the sands and gravels of Lake Bonneville on the hill slopes opposite us and above us. During the recent (30,000-15,000 years ago) Ice Ages, the environment was wetter and colder. Lake Bonneville rose, and eventually was at the mouth of the canyon at the level of I-80, and then even above where we sat. Parleys Creek was carrying abundant sediment eroded from the west end of the Uinta Mountains. When the sediment reached Lake Bonneville, it became a delta right where we sat. We would have been under dirt as well as under water! But when climate changed back to our hot dry climate, the lake dried up and Parleys Creek cut through its own delta and formed the scenery we see today. And that entire history, or close to it, is recorded in the materials (bedrock and sediment) and landforms we see today. Next session, Session 4 – Focus on Chapter 9 – Now, stretching to the west. We will study sediments of Salt Lake Valley including evidence of Lake Bonneville and Great Salt Lake.